Are you an aspiring leader? Then Kaplan Professional’s BSB42015 Certificate IV in Leadership and Management can help you take that next career step. Specially designed for those who are ready to undertake their first leadership or management role, this comprehensive online course enables you to build confidence, foster your leadership qualities and lay the foundation for a fulfilling career successfully inspiring and managing others. You’ll have a personal online coach to guide you through the three core subjects, which introduce you to developing your leadership and management skills, supporting and managing team performance and implementing key plans and processes. You’ll cover key leadership aspects that will prepare you for moving up the career ladder, from networking, consulting and collaborating to explaining performance expectations and managing change and risk. This qualification enables you to smoothly navigate today’s dynamic business environment, offering practical, workplace-ready capabilities and interpersonal skills that’ll ensure you hit the ground running. There are no minimum education requirements, however it is strongly recommended that applicants have a strong grasp of language, literacy, numeracy and computing skills. 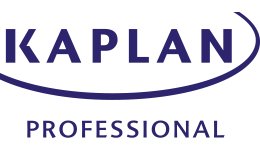 Upon successful completion of this course, you will receive a BSB42015 Certificate IV in Leadership and Management from Kaplan Professional. Individuals will be well positioned to confidently and successfully take their first step into leadership or management roles across a range of industries. The full fee for this course is $1,700 (GST exempt).